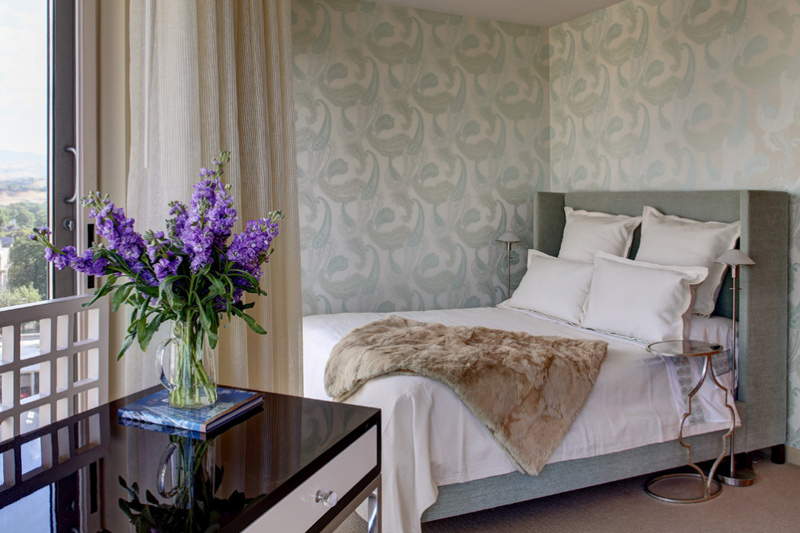 Need inspiration for your next bedroom design project? This list will surely help! Admit it, condo living is a way of life for people living in one. Some of this condo spaces are really small, that when you actually live there, you have to adapt to the space available to you. Most often than not, this is what we do in normal neighborhood homes that we live in, but condo living is quite high end and sometimes a choice for people working in the city and needs a place closer to work. In addition to that, condo living is mostly considered by young adults or young professionals who do not have kids yet because like I said above, most condos are small and having a kid or children, in general, is better if they have a larger place to play around in. So let’s take a closer look at the possible bedroom designs each of these condos have in store for us! Take note that some of the condos in here are larger or smaller than the others, if you have a similar floor plan, maybe you can decide to get inspiration from it! 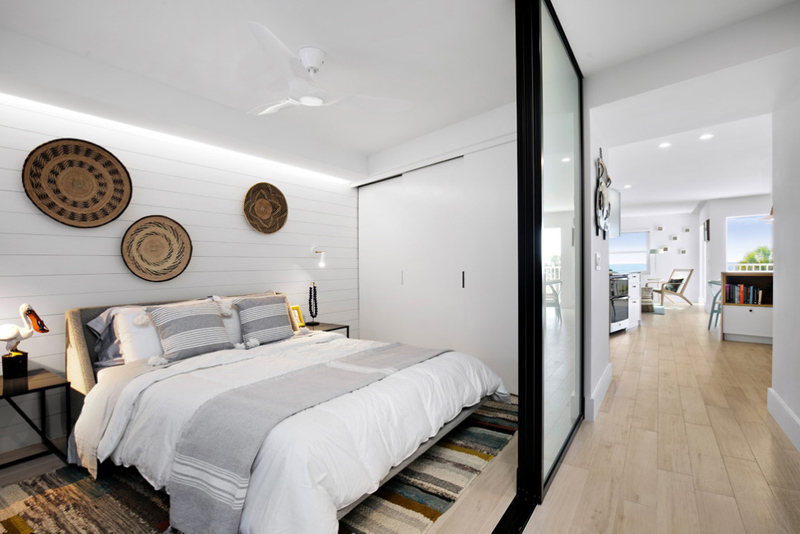 I have seen different angles of this stunning bedroom but this one is my favorite because you get to see a bit of the kitchen and the living area. As you can see, this bedroom has minimal space, I would even like to think that this bedroom was fit exactly with the size of the bed. This is one romantic bedroom – because of the lighting and the color palette used for it. The earth tones and the whites sure made it more perfect by the warm lighting added to it. 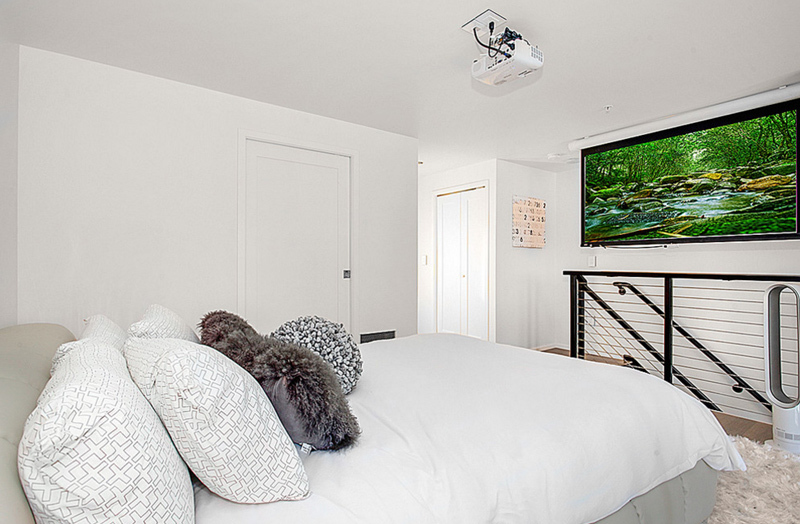 I just hoped that this bedroom did not have a TV because it ruins the drama it has. Opposite the warm lighting of the previous bedroom, this bedroom has the most light enter it. This space is great for people who have to get up early to work everyday because once the light hit their eyes, they know it’s time to get up and get ready! Well, I like the fact that this bedroom has tons of shoes shown on here, but I’d prefer it hidden in a closet – at least not really beside the bed; but that’s the downside of small bedrooms, most of the time, you have to make do with what space you have. Totally love the shelving done above the bed which ends with a cabinet and a post in the bedroom and the bed that connects to the table that holds the computer. Specially-made furniture may be expensive but totally worth every penny! I love bedrooms that have paintings of pictures above them like this one. It makes me think that the owners are cultured and cultivated that they understand art to actually display one above their own beds. Also, I am totally crushing the cabinet added to the small nook on the end of the wall. How about you? The headboard of this bed sure is classy. 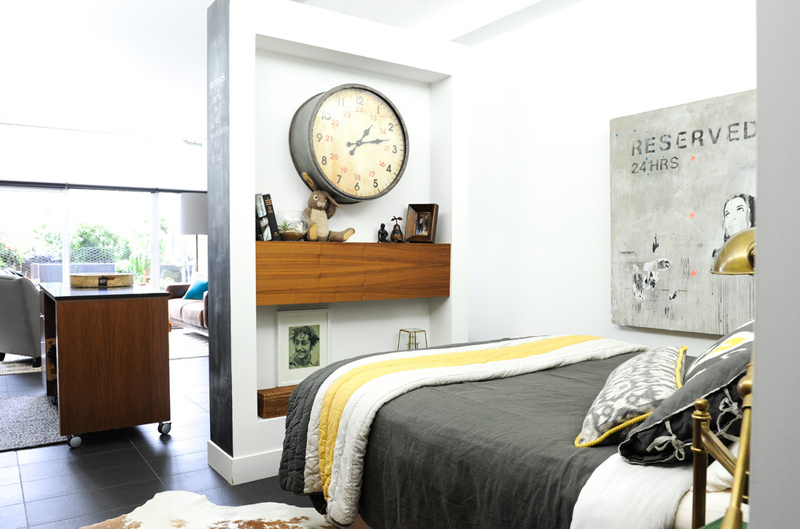 The black and white combination of this bedroom makes it really interesting and fancy. Take a look at the fun combo it did with the nightstands though! 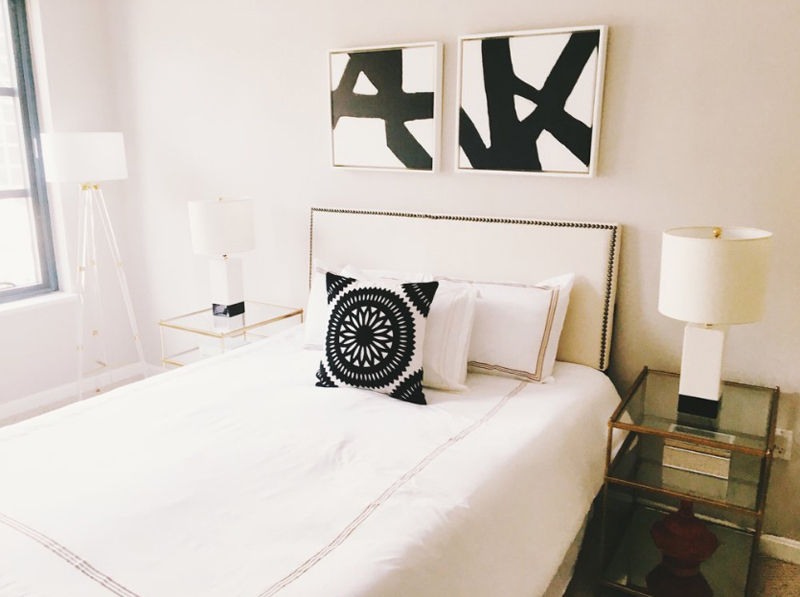 I love how white bedrooms show more luxury than most bedroom color choices clients or designers use! White makes everything look expensive especially if you chose each item or material well and matched them with the right accessories. Kaleidoscope Design Studio has a couple of condo designs you can actually check out and get inspiration from. This space sure is larger than most of the bedrooms in this list but I think it looks really special and inviting. This bed sure looks interesting and pretty – maybe because of the light colored wood used with it or the fact that it somehow matches the color of the flooring! 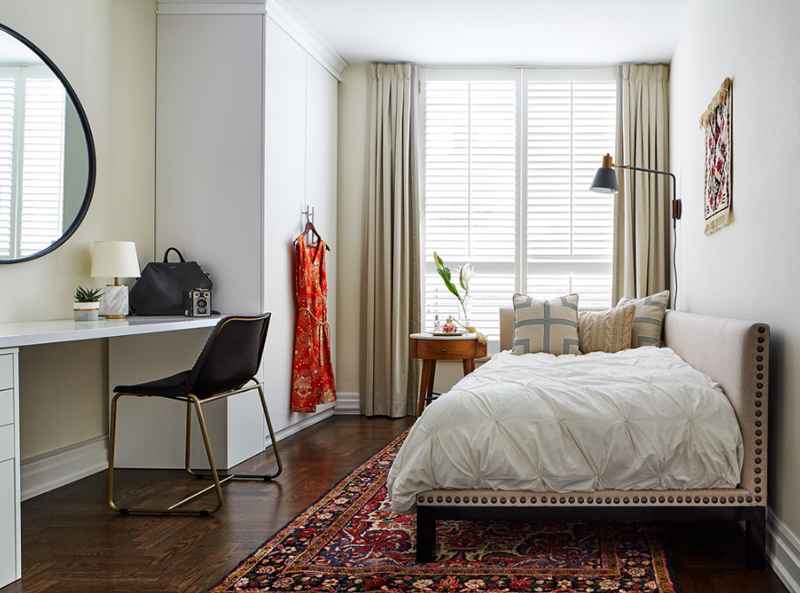 The simplicity of this bedroom makes it prettier and really homey! This condo designed by Sabrina Alfin has enough texture and lines that make you look at it twice, even more. The choice of wallpaper, nightstand and even the lights makes it real fancy and artsy. This condo has a loft where the bedroom can be found. 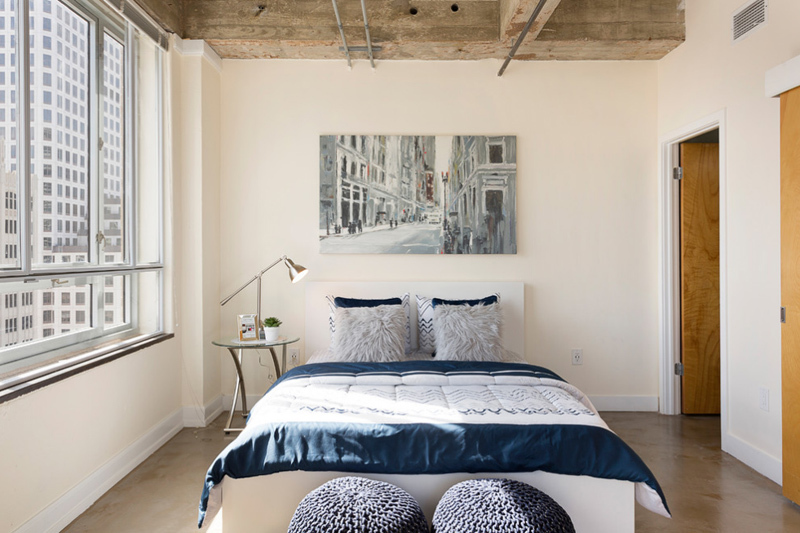 For instances like this one, it is common for condos to have lofts if the area has high ceilings. Either it is already done when you transfer there or request it to be done for you. Totally dig fixes like this one. Placing a bed in the corner of a room sometimes mean that the space is quite small you have to maximize what is available. In this photo, I can say that the room is, in fact, small that is why the bed was pushed to the wall. Glad that they still added lamps on each side of the bed. 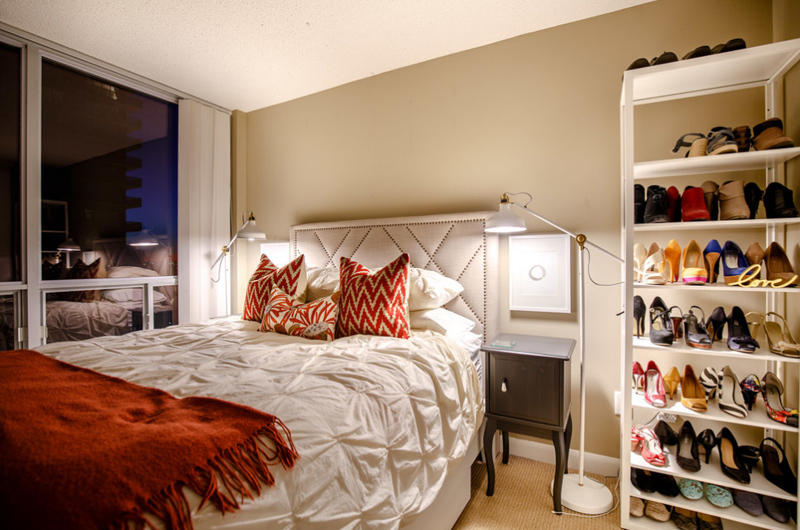 Want to separate the rooms in your condo? Add partitions like what is shown in this photo! A partition that also works as a shelf for some decorations at the foot of the bed. Small spaces like this one need one be cramped or exposed. Condos with balconies or verandas and views of the sea sure is expensive than those that do not have one and this one sure looks like it. 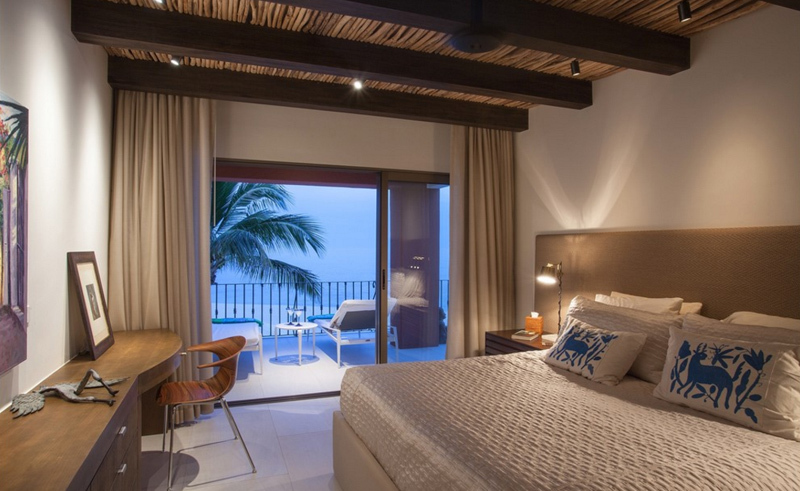 The fact that this condo is located in Cabo means, this is, in fact, a tourist destination and living here means it’s vacation every day! 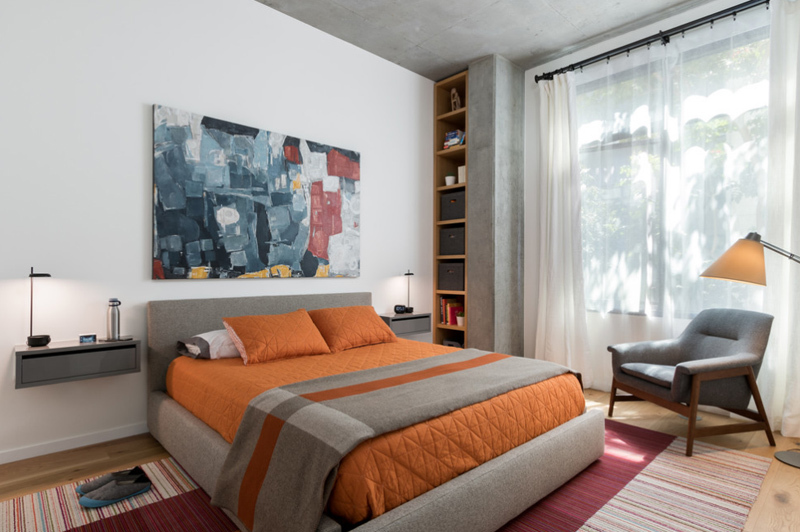 A white bedroom condo with interesting geometric shapes for walls. It adds more interest and charm to this bedroom. This bedroom looks like a lot is happening to it but it still remains contemporary and pretty. Living in a condo could sometimes mean that your view would be other high rise buildings where there’s a chance that your office is actually of them. This bedroom sure has a view of the city’s buildings – it could be comforting and convenient, and even homey if you really think about its financial equivalent. 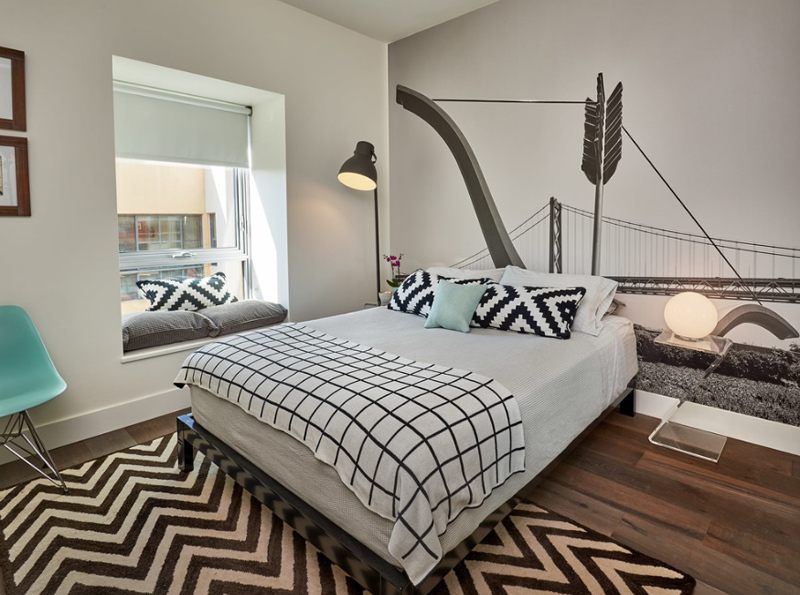 We can’t see the view outside Don Valley condo but this bedroom sure looks like a haven for rest and comfort. 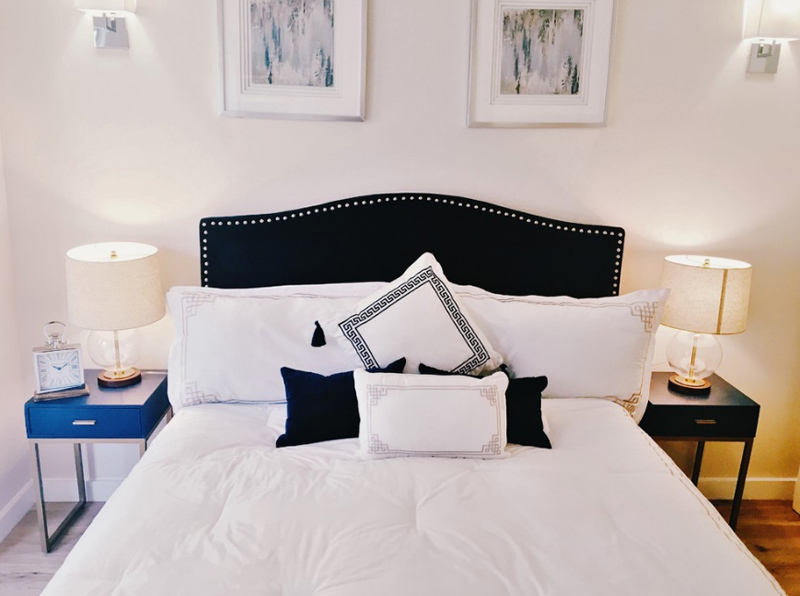 Symmetrical design in the house, especially in the bedroom is common but this one does not hurt the eyes, so I think that plus points to the value of this bedroom condo. You can see the city in the windows of this bedroom condo but it looks a bit away from it which is a nice thing if you still want to separate your home from work. 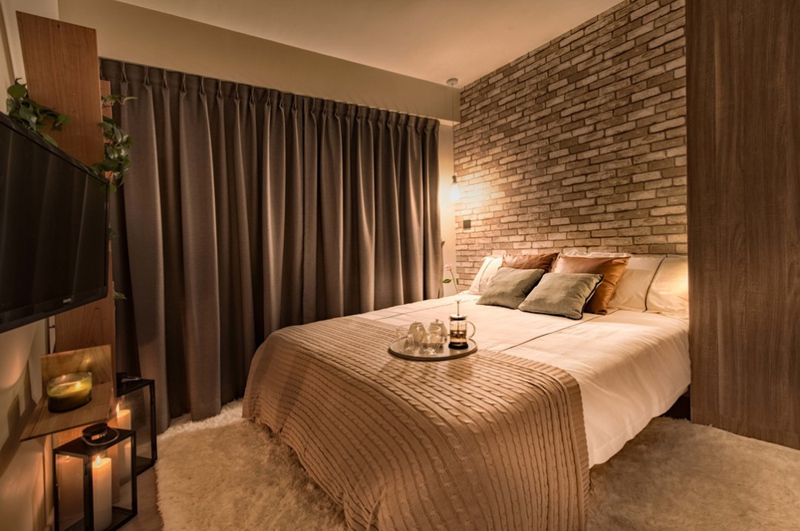 The look, design, and materials used for this bedroom is classy and luxurious like its name. 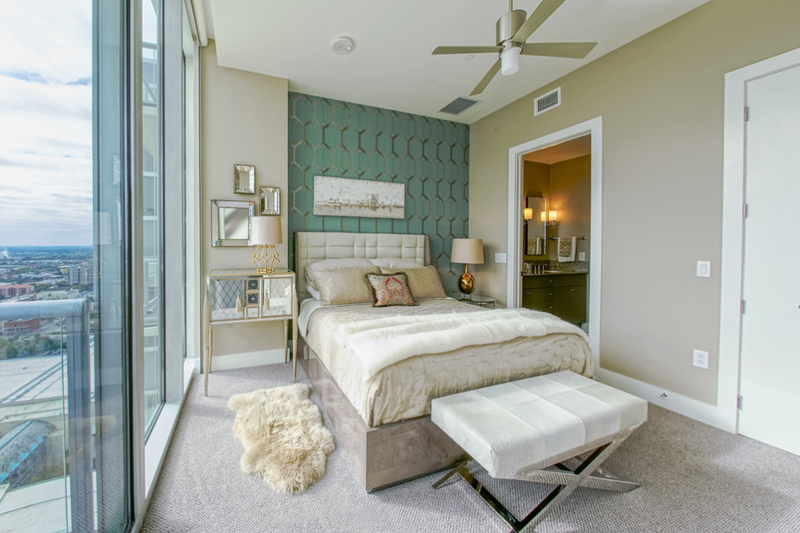 Cynthia Ferguson did justice in creating a beautiful and comfortable bedroom condo in a rather small space. They chose a double bed for this one and still added the needed closet and dresser for the bedroom owner. Condo living is not necessarily for everyone. Some people still prefer to have their own yard or garden which they can tend to every day before going to work. On the other hand, some prefer the convenience that the condo has to offer – maybe they just have to walk a short distance from their condo to their place of work which ultimately saves them time, money and energy. Whether it is for you or not, you can still surely get inspiration from them! 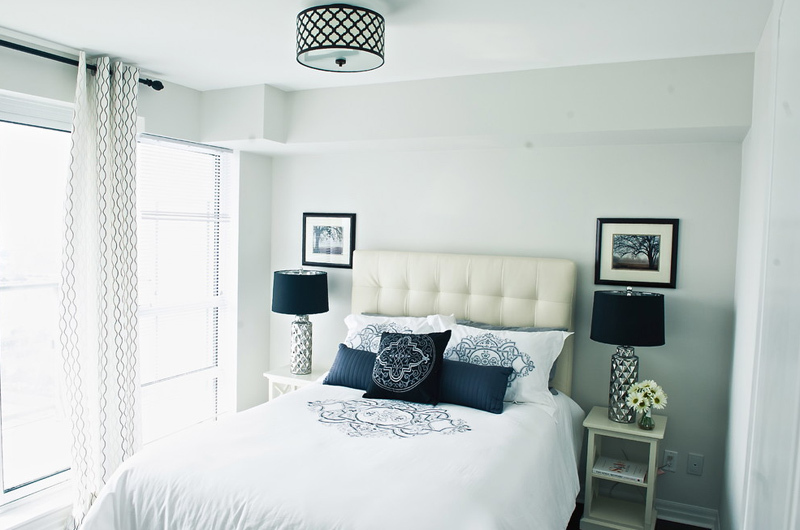 Check out the 22 Stunning and Neat White Condo Bedrooms and share them with your pals! These bedroom inspirations will not inspire others if they do not know about it!